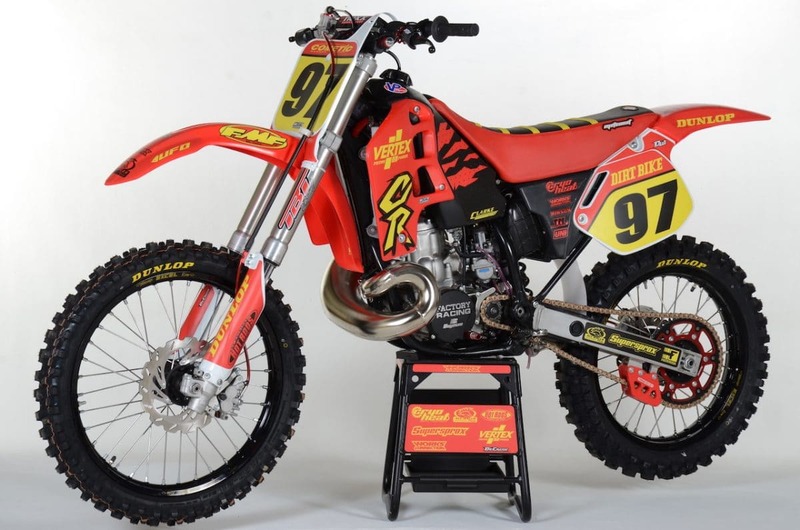 On this week’s Two-Stroke Tuesday we give you the first look at our 1995 Honda CR500 project. It was a little rough around the edges but with some elbow grease and a lot of patience it all worked in the end. 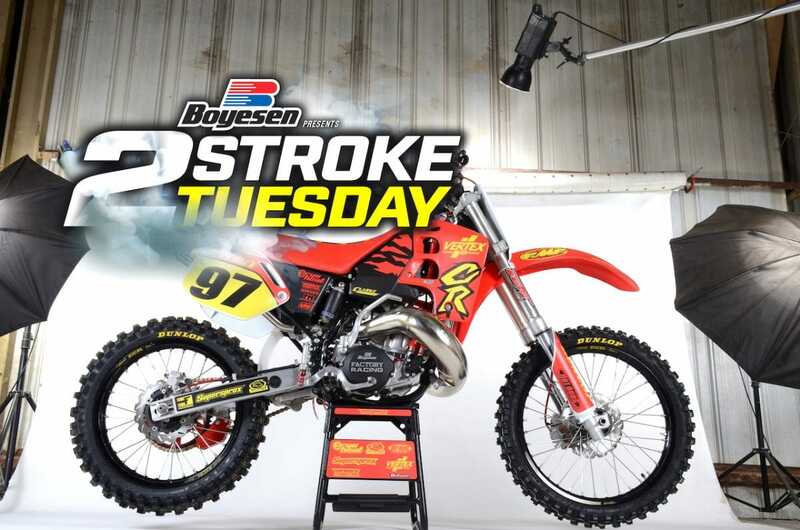 We have products from Phoenix Handlebars and Faster USA in 2-Stroke Hardware and you don’t want to miss the four pre-mix burning machines featured in 2-Stroke Theater this week. 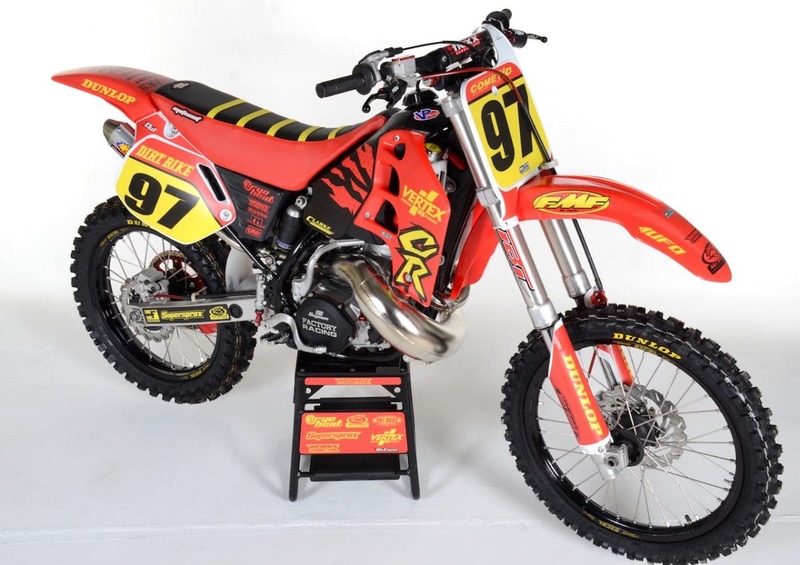 Honda two-stroke faithful check out the exclusive link at the bottom of this post for our budget built CR125. It’s pretty amazing how far the almighty dollar really can go! 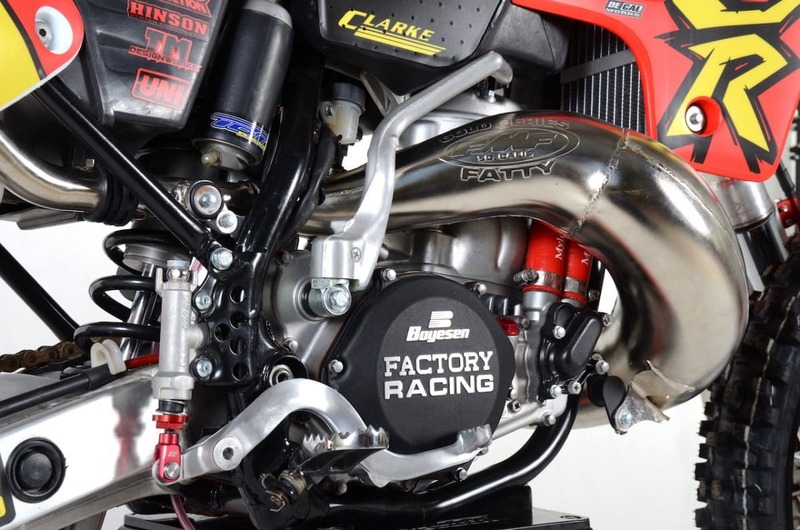 As you can see this CR500 build was going to be an undertaking from the word go. Our buddy Austin Perkins just couldn’t pass up a $600 CR500 ! We can’t blame him, we may or may not have called on the bike minutes after he purchased it. Great minds think alike. This CR500 build is one of those that in the beginning is only supposed to take a month and then turns into six month plus life mission. Thanks to the companies like Cryoheat, Faster USA, Boyesen, Tm Designworks, Decal Works, UFO, FMF, Supersprox, Clarke gas tanks, TBT, Dunlop and All Balls for the help along with understanding how long these things sometimes take. The left hand main case needed to be repaired and we were lucky enough to find a dealer that had the right case in stock. We added Boyesen ignition and clutch covers for some bling factor. 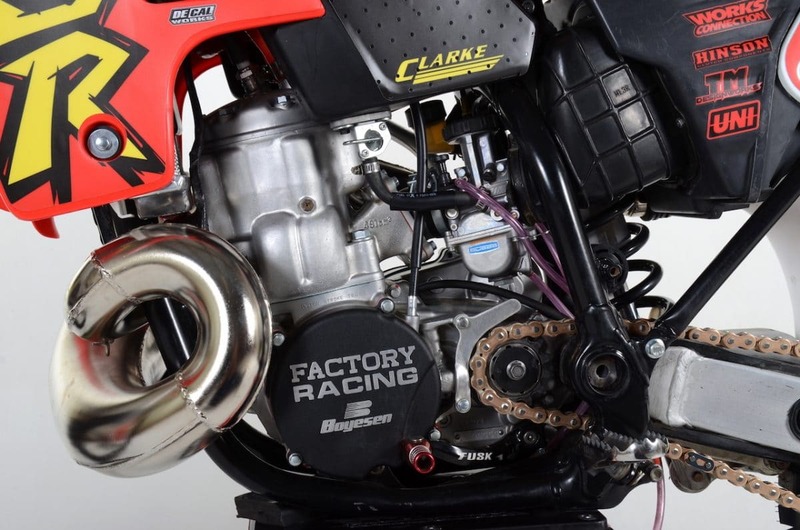 An MSV oversized water pump impeller and billet exhaust manifold was also used on his build along with other bolt-on items from FMF, IMS and UFO. 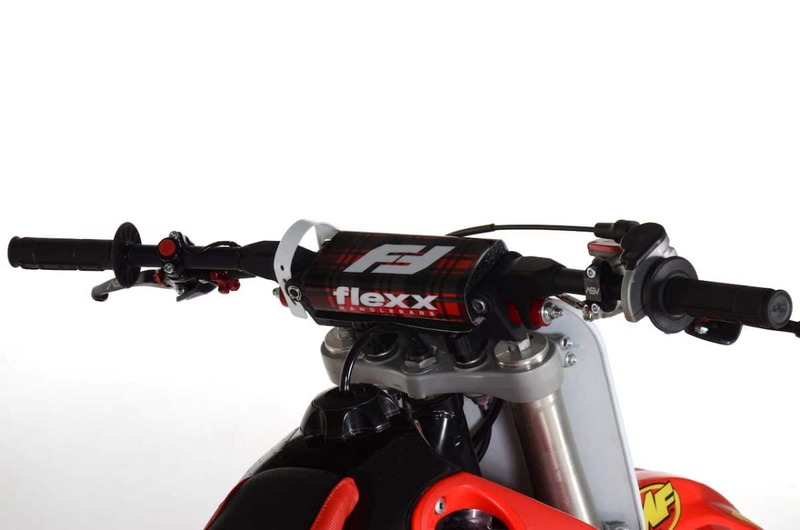 Fasst Company Flexx Bars were installed for a little extra bomb absorption and rider comfort. We used oversized bar mounts from Tusk Racing. The triple clamps were cleaned up and then clear powder coated for protection. Motoseat made a ribbed gripper seat cover that matched our overall color scheme . 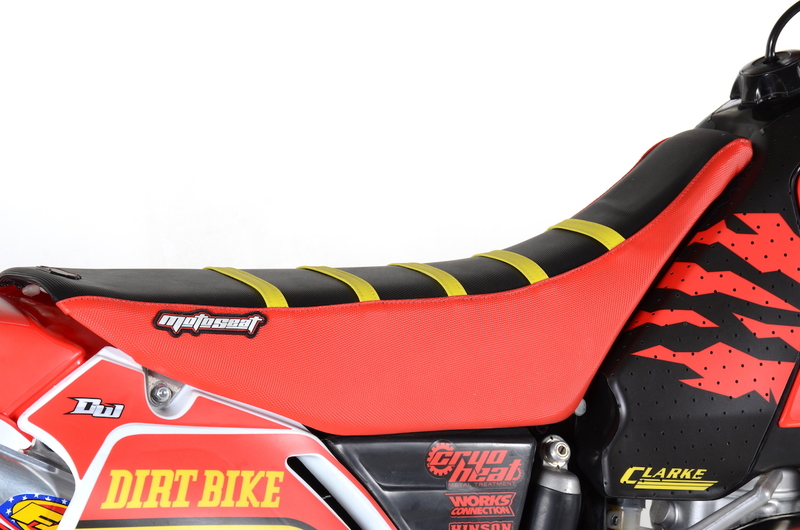 The cover was installed on the stock seat from 1995. The Engine was sent over to CryoHeat Metal Treatment. They performed their proprietary CryoHeat “stress relieving Cryogenic” process that makes the steel and aluminum parts much stronger and with over a 200% longer service life. The process also helps dissipate thermal temperatures and this engine should be running approximately 25°F cooler making more power. They also micropolished all of the moving internal steal parts, this makes the parts extremely shinny like chrome and slippery when wet! The exterior of the engine was Vapor-Honed by CryoHeat for that “bling bling factory look” Then CryoHeat had their mechanic Scott a.k.a. “skid Plate” do the full assembly of the engine. When the dust settles and we have the project in the studio it’s all worth it. This build has tons of man hours into it and about a pallet of parts but man will it be fun to ride for years to come. Austin Perkins just happens to manage Perris Raceway in SoCal so track time is a given. Stay tuned for more on this build! Constructed from 2014-T6 aluminum the Phoenix 118 handlebars feature a 1 1/8 clamping area an anodized black finish with laser-etched center alignment and cut lines. Available in for different rise options 70, 80, 90 and 100mm. The crew at Faster USA has a wheel rebuild service that will fit into just about anyones budget. This set is similar to the what is on this weeks featured bike but is actually for a 1994 CR250 build we are doing. The hub is cleaned and Cerakoted, bearings replaced, spokes replaced and the rims are replaced using DID STX Dirt Star black rims. 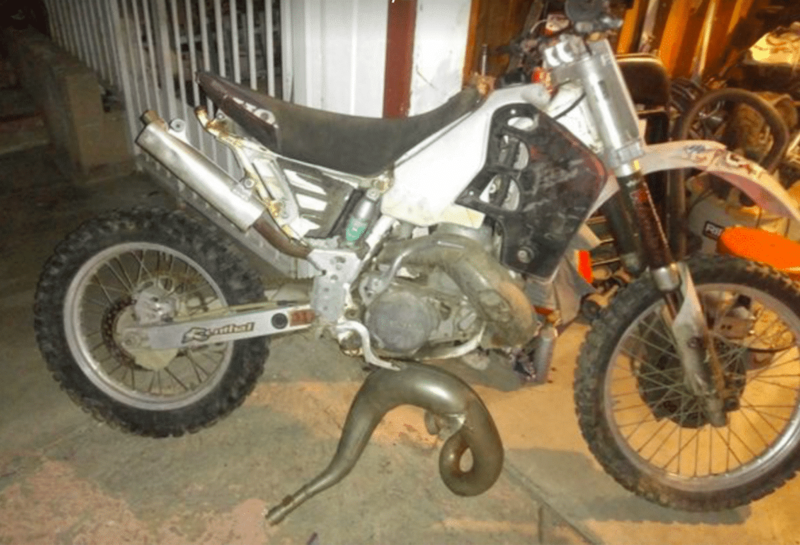 If you like the retro Honda CR500 featured on this week’s Two-Stroke Tuesday check out this budget build CR125 project we did recently. Click the image below for more!